A design concept presented as a possibility for redeveloping property owned by the Pierre family. Do you ever feel like you’re the last to know? Where did all those speed bumps come from? Wait, there’s a new brewery opening? Neighborhood changes are often planned for years before the public actually sees the results. A Community Conversation is a great way to find out about upcoming changes AND a way to give input while your opinion can still count! These events are sponsored by Lake City Future First – a group of neighborhood volunteers working to support economic diversity in the Lake City area. While volunteers run the event, they also work with city officials to help bring current information about proposals and upcoming changes . Lake City is going to be experiencing a great deal of growth and development in the very near future. Lake City Future First wants to ensure everyone is involved in that conversation. Some favorite local establishments will be faced with issues regarding development. How do we retain our unique neighborhood assets and cherished gems? What new assets are desired? NOW is the time to be heard and get involved. At the April Community Conversation, public engagement liaisons helped reach out to community members. Translation services are available too! Please join your community on June 24th at the Lake City Community Center from 6 – 8 PM for the next official Community Conversation. Free food from some of Lake City’s wonderful restaurants, in honor of the launch of this year’s “World of Tastes in Lake City Passport Program” which helps celebrate local restaurants. Many representatives will be on hand to discuss everything from zoning to the need for open space in Lake City. The Urban Design Framework document will be on hand too. If you’re wondering whatever happened with the Pierre Visioning Project… you’ll find your answer there. This entry was posted in Development and tagged #Lake City, events, pierre properties on June 12, 2015 by Families For Lake City. Have you ever noticed that empty strip of grass just south of Fred Meyer? (You know the one pictured here… arguably a bit of an eyesore?) Would you like to see that space transformed into a community garden? Lake City Future First and Fred Meyer are working in partnership to do just that – create a community garden in that space. Please give input on how you’d like to see this space developed. Would you like to see chess tables? Or beds filled with edible plants? A mural? Please share your thoughtful ideas by responding to this quick Community Garden Survey. It only takes 5-10 minutes to complete and could help shape the future of that space. Inspired? Feeling passionate about this project? Visit Lake City Future First’s volunteer page and sign up if you’d like to help see this project to fruition. This entry was posted in Development and tagged #Lake City, fred meyer on May 10, 2015 by Families For Lake City. Hunger Intervention Program (HIP) is serving FREE summer lunches to kids at four sites in the Lake City area this summer and we need your help! We are looking for volunteers who love to prepare and serve delicious lunches, lead fun activities for kids, get the word out so we can feed more kids, transport meals & supplies in the HIP van, and so much more. Last summer, 90 HIP volunteers made it possible to share nearly 5,000 meals with Lake City children and teens in parks, housing developments and at local schools. This summer we’re hoping to serve even more meals with your help. Interested volunteers can find more information and Volunteer Training Dates at HIP’s website. 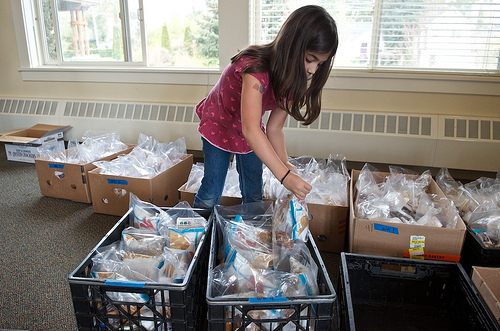 You can also contact Julia Yao at americorps@hungerintervention.org or (206) 457-2871. This entry was posted in Community, Event and tagged #Lake City, HIP, Lake City Community Center, volunteer on May 23, 2014 by hungerintervention. The new comprehensive Jane Addams Middle School is having its charter PTSA meeting this Wed. April 2nd at 7:00pm in the cafeteria of the Jane Addams building. If your child will attend this new school, please help get JAMS underway with strong parental involvement – a known factor in student success! The meeting will include coffee, tea and treats provided by Nathan Hale High School parents. If you’re unable to attend but would still like to become a charter member, You can download the membership form here. Contact information is available on the form for further information. For more information, visit the JAMS PTSA website – www.jamsptsa.org. This entry was posted in Uncategorized and tagged #Lake City, events on April 1, 2014 by Families For Lake City. Just a year ago, Virgil Flaim Park, (also known as the Lake City playground) was plagued with negative behaviors. Public drunkenness, drug use and sales, prostitution, fighting and aggressive behaviors drove many park visitors away. Neighbors living near the park banded together to help change that, and they succeeded. Today, it’s a Lake City success story. On a sunny day like today, you’ll find children playing, people of all ages utilizing the walking path around the park, soccer games, BBQs and more. Kris Meyers, one of several neighbors who helped spearhead the efforts cites the “Broken Window” theory as their starting point. The theory asserts that an area which looks poorly cared for will attract negative behavior, while an area that is well-kept is more likely to attract positive behavior. Positive behavior, in turn, activates the area and helps deter crime. Last year, Meyers and several other neighbors began walking the park daily in teams of 2 to 5, picking up trash. They wore orange reflective vests, carried buckets and pinch-style trash grabbers. On any given day they’d pick up a variety of disturbing items: dime bags (small plastic bags used to package and sell cocaine and methamphetamines), colorful used condoms a child might easily confuse with a deflated balloon, needles and other paraphernalia. During one particularly notable week, Meyers said they collected 80 empty beer cans, an empty bottle of rum and two empty bottles of wine, then found almost the same number of empty alcohol containers again just two days later. As they worked, they began recognizing faces – both of neighbors out to enjoy the park and others using the park for illegal activities. Meyers said they always kept a calm, friendly demeanor. If they were collecting empty containers near someone, they might ask, “Do you mind if I pick these up?” If there was any hint of confrontation, Meyers said they would simply smile and move on. Meyers also helped organize the neighborhood by starting the Hiram Place Neighborhood Association. Like a neighborhood watch group, the association has no fees, it’s just neighbors working together to address safety concerns. Neighbors were encouraged to join and Meyers and his crew provided coaching on how to call 911. Meyers was quick to point out the difference between complaints and legitimate safety concerns. Noisy kids playing ball might be upsetting to some, but not a real safety issue. Someone drinking alcohol, yelling and acting aggressively, on the other hand, would be a legitimate safety concern. Meyers and his neighbors also worked with the city and nearby landowners. They persuaded Lorrig and Associates, the owner of the Lake City Professional building, to trim back a large laurel hedge which visually separated the building from the park. The hedge was lowered to just below eye-level, providing more visibility. The northeast corner of the park also tended to attract the worst behaviors, so they worked with the Department of Parks and Recreation to remove low-hanging branches from trees in that corner of the park. The increased visibility helped deter crime. Meyers notes how much the park has changed over the year. He still checks the park regularly for trash, but finds little. The frequent 911 calls are now few and far between. And best of all, a blossoming sense of community has built in this quiet pocket of Lake City. Virgil Flaim has a long history in the neighborhood. The park once served as the playfields for the Lake City School before it became what it is now – the Lake City Professional Building. After the school closure, Virgil Flaim became one of the first projects created with a grant from Seattle’s Neighborhood Matching Fund. The area has served as a neighborhood park and playground ever since. Recently, Skate Lake City was awarded a grant to design and build a skate spot at the park. Neighbors hope it will bring further positive activity to the area. This entry was posted in Development and tagged #Lake City on February 25, 2014 by Families For Lake City. This Saturday, February 8th, the Lake City Fire Station will open its doors for an Open House event in conjunction with Seattle’s Neighbor Appreciation Day. Bring your kids to tour the station and meet your neighborhood fire fighters; the event is free. The Neighbor Appreciation Day website even has a place where you can send specialized ecards to your neighbors. Or, if you have a great story you’d like to share about a positive experience you’ve had with a neighbor, why you love your neighborhood, or what you’re doing to celebrate the day, you can submit it here. This entry was posted in Development and tagged #Lake City, events, fire station 39 on February 6, 2014 by Families For Lake City. It’s time for the Lake City Pioneer Days Festival again! Look for many favorites, as well as a few exciting changes too. This traditional feast of alder-smoked salmon is back! For just $10 for adults and $5 for kids, you get a complete meal of salmon, fruit compote, rice or baked potato, ice cream and a beverage. Stop by Friday between 4:00-6:00pm to enjoy International Dancing. This year’s festival brings a new and exciting footprint that wraps around the Lake City Library & neighboring Albert Davis Park. (Think Farmer’s Market, only bigger!) Booths will be set-up along NE 125th. Food vendors will be set up along 28th Ave NE. The park will offer live entertainment, family seating, and a Beer Garden which opens at noon. Pony rides, arts & crafts, and the Seattle Gymnastics Academy tumbling area will all be back. Whether young or old, car afficianados will love this long-standing tradition. Vintage cars of all kinds will be on display in the center’s parking lot from 10:00am-4:00pm. Come chat with the owners, check out the engines and enjoy a little nostalgia. Rotary Kid’s Parade, Saturday, Aug. 3, 6:00 p.m. It wouldn’t be Pioneer Days without the Kiddie Parade! Wear a costume & meet-up at the Wells Fargo at 135th & Lake City Way at 5 p.m. Kids and families parade south along Lake City Way at 6:00pm. Don’t forget to slow down near the bandstand so the judges can admire your clever costumes. Grand Performance Parade, Saturday, Aug 3, 7 p.m. The Kid’s Parade starts us off, but be sure to stick around for the grand finale. Look for bands, drill teams, the Seafair Pirates and much more. Parade route travels south along Lake City Way from 130th to 123rd. Pioneer Days would not be possible without our fabulous community. There are many simple ways to help. Contact Diane Haugen at (206) 363-3287 if you’d like to volunteer. “Pioneer Days is a more rustic form started decades before Seafair. The original residents – the true pioneers of Lake City- held local summer gatherings where neighbors sold their quilts, jams and preserves on the sidewalk. Games were staged for the kids. Members of the Duwamish Tribe would paddle across the water to the “the city by the lake,” bringing smoked salmon to the settlers. And so the tradition of having a dog-days, summertime shindig began.” – from the Lake City Pioneer Days Festival website. This entry was posted in Development and tagged #Lake City, events on July 30, 2013 by Families For Lake City. Seattle’s Night Out event is quickly approaching - Tuesday, August 6th. Each summer, thousands of Seattle residents close their streets to celebrate Night Out with block parties. Have fun, get to know your neighbors – it can be simple or elaborate. There are several Lake City area Night Out events already scheduled. To find one near you, visit the Night Out event map. To register your own event, click here. Ready-to-print fliers are available here. Police, fire and city representatives spend the evening visiting events throughout the city. If you’d like to include them, opt-in during your registration. If Night Out doesn’t work for you and your neighbors, consider hosting a Living Room Conversation as an alternative. Arrange a small gathering of neighbors in your home and invite a Seattle police officer to join you. This program allows community members to discuss safety concerns directly with officers working in their neighborhood. It’s simple to arrange and doesn’t take much time. Find out how you can host a Living Room Conversation here. Not sure how to plan a block party? Try this Family Fun Magazine site for all kinds of block party ideas, from icebreakers to kids’ games and more. This entry was posted in Uncategorized and tagged #Lake City, Seattle Police Department on July 26, 2013 by Families For Lake City. This is a guest blog post by HIP volunteer Stephanie Olson about her recent volunteer projects with Hunger Intervention Program to benefit Lake City families. As I have become involved with HIP over the last few months, I keep having the same phrase come into my head. I keep thinking to myself that this feels real. This feels like something that my kids and I can do that is a real and important thing. That might sound small but I have been shown in several ways over the last few weeks that it is far from it. Recently, our Sunday School kids packed up 70 HIP packs for area school kids to take home over a weekend. The entire church donated money to buy food for the packs and we used our Sunday School time to create them. It was a great activity. The kids ranged in age from 3 to 14 and every single kid (and their parents) helped. They all got to pack items and understand that it was for a kid just like them. Afterward, we talked about how these might go to a child at their school or a kid that they might be playing with at the playground. It was so important to one of our Sunday School students that she was adamant that she come even though she had to leave after fifteen minutes to go to her soccer game. She wanted to help! HIP gave her that chance. I had the opportunity to speak to Molly Engle who works as a Care Coordinator through Sound Mental Health at Olympic Hills Elementary School. She works intensely with families at the school and helps connect them with community services that can help their kids be successful in school. I wanted to find out more about the real lives that HIP impacts. There are 20 children at the school currently getting help from HIP. She knows these kids. She knows their families. She knows the school and the community. “It’s nice to have a tangible thing to give to families to help them,” she said. A smile crossed her face as she remembered the huge packs that students were given over spring break to help get them through the week. “A lot of the families don’t have transportation so even getting to the food bank is difficult.” She likes the way that HIP makes it so easy for families and impacts their lives in a direct way. Engle also described the way that the entire community at Olympic Hills has rallied around each other. One of the teachers pointed out to Engle how strong the school’s sense of community is. She described being touched by the PTA parent who goes each week to pick up the HIP packs and brings them to the school. She commented to Engle that, “It’s such an amazing thing that this family who doesn’t even directly benefit from the program feels such a sense of community that she goes and gets them on her own time.” The parent just wants to help. HIP gave her that chance. Engle also says that the families receiving that help feel a tremendous sense of gratitude and love being a part of the community as well. One family, she said, received help for a few weeks and then let her know that they no longer needed the extra food they were getting. “We’re good,” they said. They wanted to be sure that another school family who needed more help took their spot. It’s the same story: the family wanted to help. HIP gave them that chance. You can’t get much more real than that. This entry was posted in Uncategorized and tagged #Lake City on May 31, 2013 by Darcy Buendia.